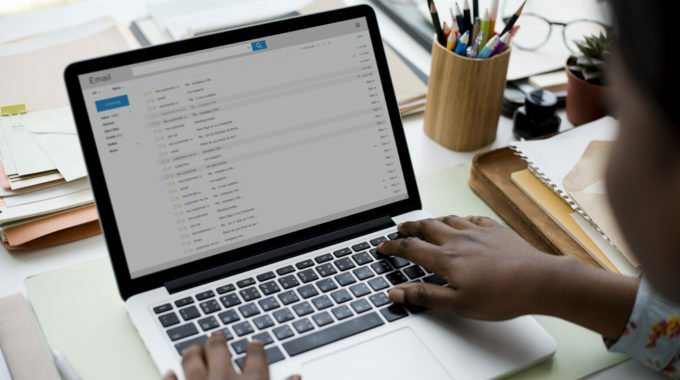 For email marketers, email campaign metrics are essential to understanding the way customers are interacting with your brand, and having objective data to tell you if what you’re doing is effective. But many companies have failed to account for a significant portion of email’s true business impact, because they aren’t doing the hard work to connect email with conversions that occur in a less linear fashion than open/click/conversion. That was the launching-off point for our February webinar, “Beyond Opens & Clicks: Measuring Email’s True Business Impact.” In it, we discussed the reasons email’s true impact is difficult to measure, and how you can better understand it. 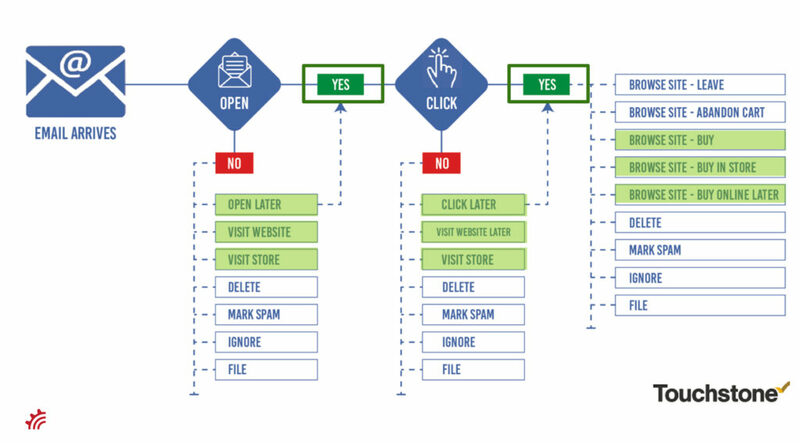 This great graphic pretty clearly illustrates the possible outcomes from someone who doesn’t open or click on an email. Just because they don’t open immediately doesn’t mean they won’t open later, visit the website or store, or file the message away for later use. If someone doesn’t click right away, that doesn’t mean they won’t click later, visit the website or store, etc. And even if they do click, there are many positive outcomes outside of a simple direct email conversion. That’s why focusing on these three metrics can greatly understate the impact email is having on your business. You have to dig deeper to get the full picture. Where things are somewhat simpler for traditional retail because they at least have common direct conversion points, travel and hospitality brands have an even harder time measuring conversions for a variety of reasons. Expedia, for example, knows most people only book travel a few times a year. It’s rare for someone to get an email with a deal and for that person to book the trip in the same way they’d impulse buy a pair of shoes or a book on a retail site. This message from Expedia does a good job of getting the recipient interested. 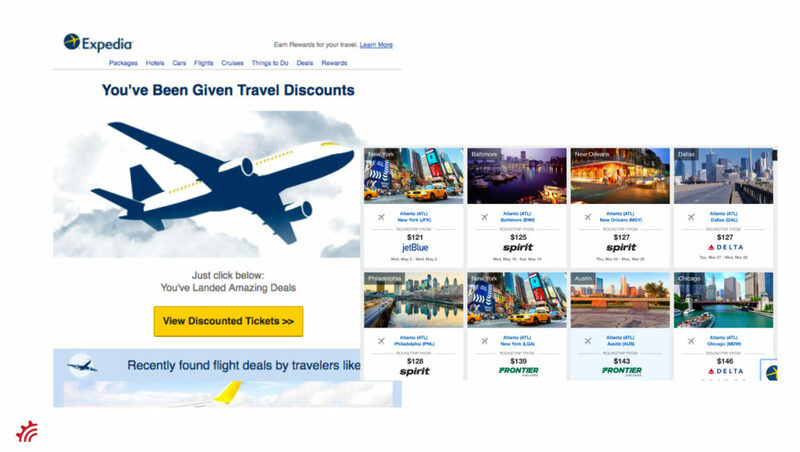 And on click-through, it shows the best deals to dozens of destinations from the recipient’s home airport. Now, customers aren’t likely to convert directly from this email. But Expedia is now top-of-mind for them for when they to book. And that’s a win for Expedia’s brand. Customers don’t see the departmental buckets your marketing teams are likely split into. They don’t view email as one “channel” from a brand, “push notifications” as another, “website”, “in-store”, etc. They just think of your brand and interact with it, wherever that may be. So measuring various internal channels individually to judge success misses out on the larger scope. Embrace the fact that customers are going to migrate from email to different channels. You may even be able to provide incentives for them to do so. Unique codes delivered via email that customers can reference for offline sales can both promote conversions and help you to track those conversions back to the email campaign. Humans are never going to be linear creatures. Instead of fighting that fact or ignoring it, incorporate it into your messages. In assessing email’s overall impact and not just looking at the channel-specific metrics, you may need to rethink how you classify someone as an inactive email recipient who you start reducing the amount of sends to. If you’re tying purchases at the subscriber level, you may see that someone you thought was ignoring your brand is still alive and well (and possibly influenced by your emails). That’s another benefit of going beyond opens and clicks. You learn more about your customers’ behavior, and don’t cut loyal customers off just because you weren’t tracking their interactions with your brand. Marketing clouds and email providers mostly do well at executing and measuring email marketing. But in stepping back and looking at the bigger view you’ll need to access a centralized database to see how people are engaging and interacting across all channels. Your siloed MarTech or AdTech platform that doesn’t easily integrate and play with that central CRM or customer database is going to house only a subset of information but not offline or call center engagement, for example. This limits your view of your customers. Build your enterprise marketing technology stack around this idea. Find tech that will help you work smarter and easier. You can’t effectively market to your customers if you’re spending 80% of your time on operational tasks. Your tech should help you focus on what you do best, not hold you back, or spread you too thin. Traditional email KPIs are small pieces to a larger puzzle. Email’s impact is largely seen outside of direct conversions. 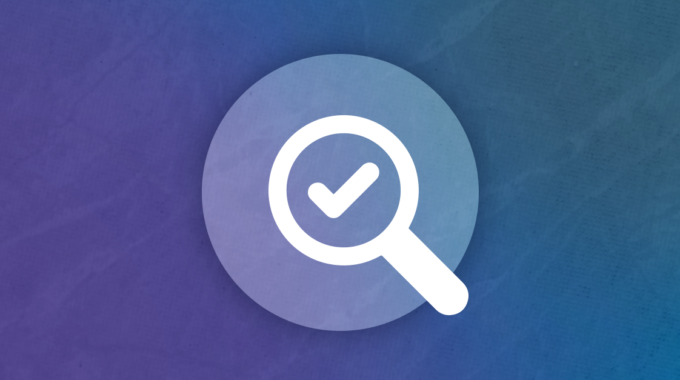 Focus on the long game — avoid a campaign-by-campaign mentality when analyzing and making decisions. Emails that keep people primed and prepared to engage in the future are just as valuable as short-term conversions. If you’d like to watch the full 30-minute webinar, with plenty more examples of email campaigns that require deeper metrics, along with more actionable insight from MessageGears’ email experts, click here to download it. 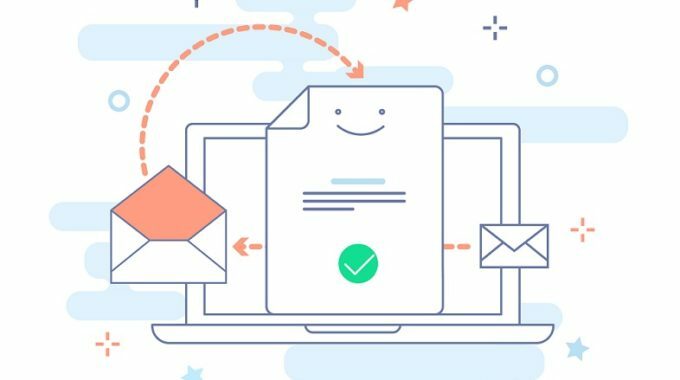 Webinar Recap: What Does the Future Hold for Email?